If you have a nice handmade rug, you may want to know what kind of price tag you could throw on it. Or maybe you are thinking of purchasing a handmade rug, and you’re wondering if the price on it is either justified or exorbitant. Here are some basic guidelines to help you arrive at a reasonable number. Of What Was the Rug Made? This is perhaps the biggest determining factor of the value of a rug. The better a rug’s construction, the more valuable you would think the rug is. 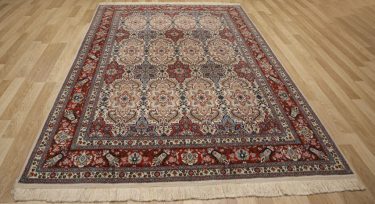 However, because of the craftsmanship involved in producing a rug made from natural materials, the price for these kinds of rugs will likely be higher than those woven from synthetic materials. Many people assume that all handmade rugs are made from natural fibers. But because of the increase in price of natural fibers as well as the difficulty of acquiring them in many areas, some very skilled craftsmen are using synthetic materials. 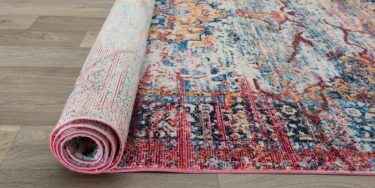 If this is the case with a rug you are considering, it is going to be worth less than one made from a natural material like cotton, wool, or silk. A rug that is in good condition is going to bring in more money than one that shows significant signs of wear. 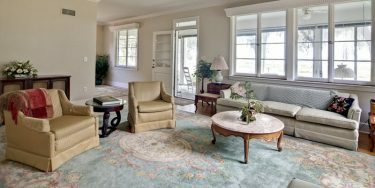 While some may feel that wear and tear is a sign of authenticity, the average buyer does not need to see these types of signs of aging in a handmade rug. Wear and tear is representative of the experience of the previous owner of the rug. It’s an element of that owner’s story and adventure for which the rug was a backdrop. In general, people like to carve their own stories into their belongings. If you desire to perhaps sell your handmade rug in the future, endeavor to keep it in as good condition as possible. 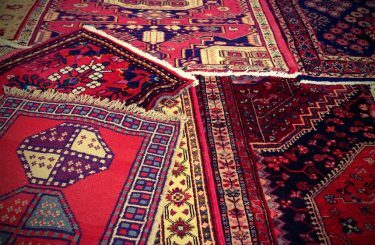 Conversely, if you are shopping for a handmade rug and see some signs of wear and tear, you can use this as a bargaining chip. Although a rug can be perfectly attractive with fewer knots per square inch, those with more are going to be seen as having more value. The reasoning is simple: more knots=more strength. Also, more knots=more human effort to make the rug. A stronger rug and one that required a longer amount of time and a greater investment of weaving skill is going to be viewed as more valuable. You can count the number of knots by taking a square inch section of the back of the rug and multiplying the vertical run by the horizontal weave. 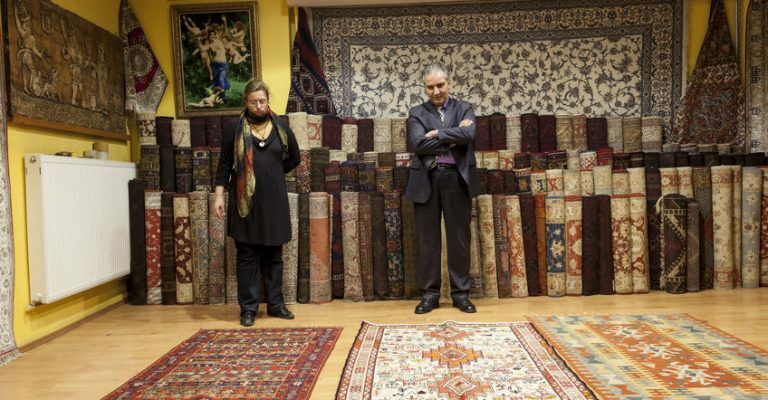 Even though these are some relatively objective standards of handmade rug value, in the end, the value will be determined by the person who’s paying money for it. The laws of supply and demand reign supreme. But if you are in a bargaining position, regardless of which side of the table you’re on, you can use these standards to try to get the best deal possible.